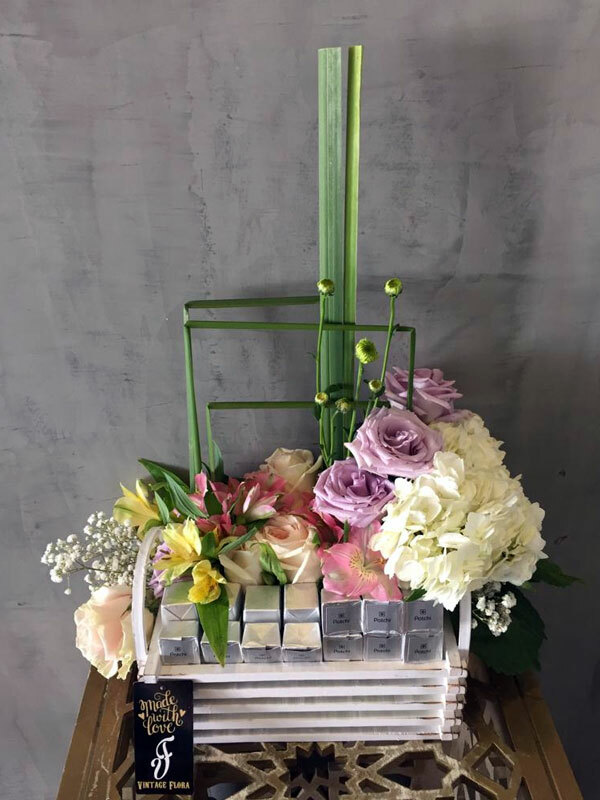 An elegant arrangement that showcases the perfect matchmaking of Patchi chocolates and flowers. This arrangement brings a delight to the eyes as well to the taste buds. Suitable to be sent to a wonderful, courageous lady who loves to eat chocolates!